Your oven is extremely dirty, like full of grease dirty…that awful kind of dirt which makes you reconsider when it comes to cleaning it. Well, this dirty situation shouldn’t scare you anymore because the grease removal masters are near you. Yes, in your kitchen. If you open your kitchen cabinets, I bet that you found that vinegar bottle and a pack of baking soda. 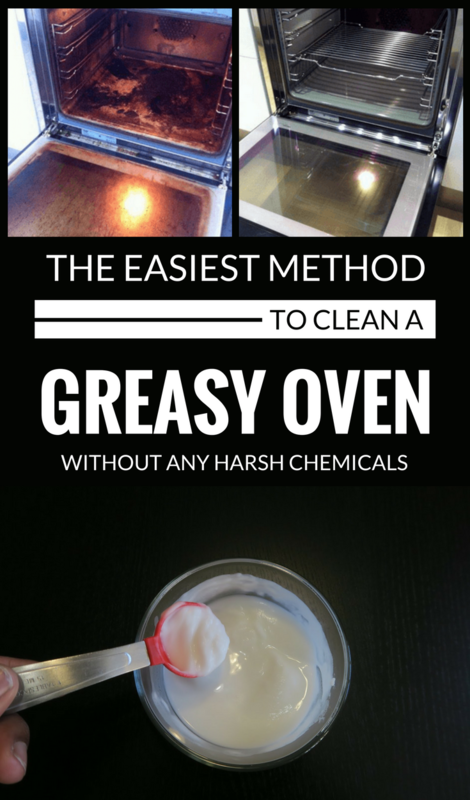 So, grab them, follow the next instructions, and your oven will magically clean by itself. Remove the grills and trays from the oven to clean it very well. With the help of a kitchen towel, wipe the oven walls from dust and other residue. In a small bowl, add 1 cup of baking soda, and, gradually add water until you obtain a paste (it has to have the toothpaste consistency). Put on the rubber gloves on, and rub every inch of the oven. You will notice that the paste will become brown. Don’t worry, it’s normal. Do the same with the grills you removed from the oven, but also with the tray if necessary. Let the baking soda paste to act overnight or at least for 12 hours. Then wipe the oven with a cotton cloth moisten in warm water. Don’t insist to rub the paste, because it’s necessary for the next step. Fill a spray bottle with white wine vinegar and spray it over the entire surface of the oven. Allow to stand for 2 to 3 minutes, and then wipe the oven with hot water thoroughly. Next Why You Should Throw An Aspirin In The Washing Machine? The Reason Will Leave You Speechless!